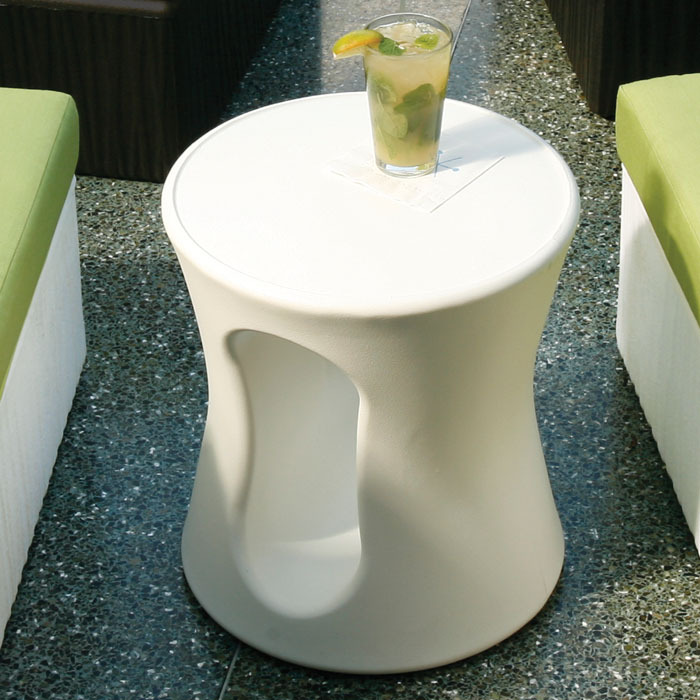 The Mobilis Collection, designed by Richard Holbrook, offers contemporary outdoor tables. With a modern or retro appearance, all outdoor tables in the Mobilis Collection may be mixed and matched with Mobilis Modular Seating to create a broad array of seating combinations. Mobilis is made from rotorform, a marine grade polymer product. The Mobilis Table Collection is available in an array of bright colors. During the manufacturing process, minimal scrap is generated and the polymer molds are recycled resulting in the environmentally-friendly outdoor furniture collection.